At Tri-State Business Systems, we supply businesses with direct thermal labels for all of their barcode system needs. 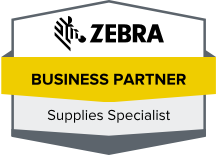 We carry a wide selection of direct thermal labels from a range of the world’s leading label manufacturers including Zebra, a company at the forefront of label innovation. Zebra’s selection of thermal barcode labels meet the requirements for most applications and budgets, and from Z-Perform Paper Labels, Z-Select Paper Labels and IQ Color Paper Labels to Polypro Synthetic labels and everything in between, we have the Zebra barcode label selection to meet your company’s growing demands. Zebra labels offer superior performance at an affordable price point, and each product in their line-up is complete with all of the features you need to make your labeling system a success. 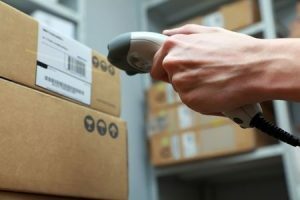 We have earned our reputation as the leading solution provider of barcode and labeling systems, and as a result of our dedication and commitment to providing our clients with the customer service, selection and support they need to improve their business processes, our experience and expertise is valued by numerous fortune 1000 and fortune 500 manufacturers today. We can provide details and pricing for a thermal transfer ribbon replacement, direct thermal labels or any of our other equipment or supplies, or we can guide you in the design and implementation of your new RFID, barcode or labeling system. Complete customer satisfaction is the Tri-State way, so if your company is located in Branchburg, Flemington, Rowland Mills, Hopewell, Mt. Rose, Princeton or the neighboring cities, contact Tri-State Business Systems today to discuss your labeling supply and equipment needs.